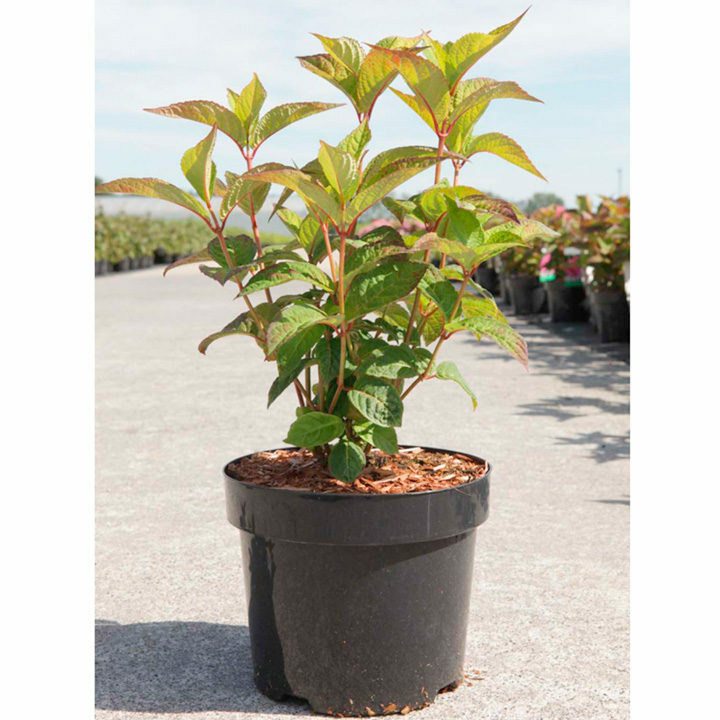 Hydrangea serrata ‘Dolmyf’ or know by its marketing name Hydrangea serrata Avelroz is a bushy, compact, hardy, deciduous shrub with beautiful purple-green foliage and beautiful autumn colour. In summer, it produces flat umbrella-shaped groups of dark-pink sterile flowers but with a crown of fertile bright-pink flowers (red in acid soil) with a bright-white centre on top. 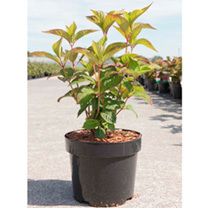 It is easy-to-grow with impressive results that is suitable for both large containers and shrub borders alike. Flowers July-September. Height 100-150cm. Supplied in a 3 litre pot.